Why LeBron James’ Hummer Didn’t SellHummer once owned by LeBron James fails to sell at auction. Usually, when cars that belonged to celebrities or athletes go up for auction, collectors swarm and fight over them. However, this wasn’t the case for Goldin Auctions with a car previously owned by a Los Angeles Lakers star. The 2003 Hummer H2 that belonged to LeBron James didn’t sell, despite the hype it generated. 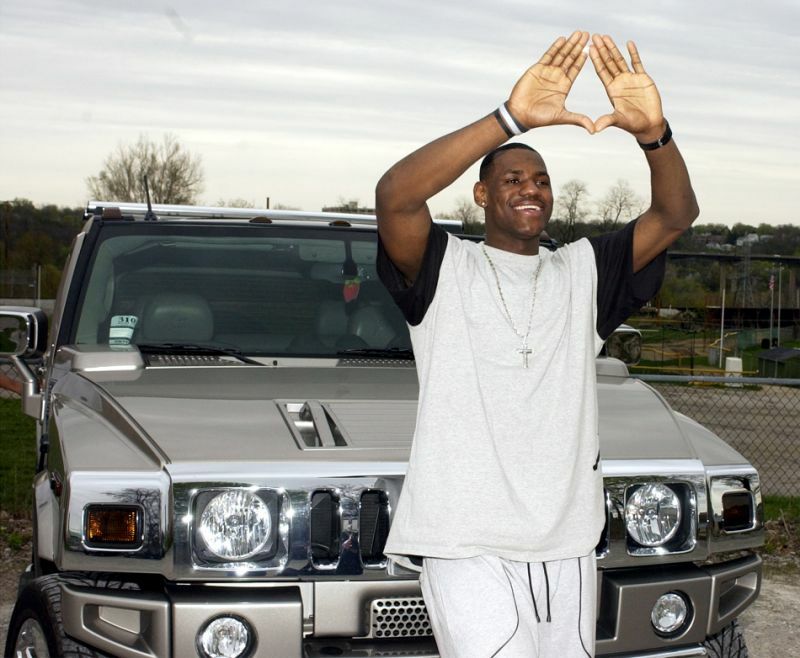 Unlike some autos that belonged to celebrities and take up space in their garages without ever seeing the road, LeBron James actually drove the 2003 Hummer H2 in high school. There are even photos of the NBA star posing in front of it during his senior year at St. Vincent-St. Mary high school in Ohio. His mother, Gloria, took out a $50,000 loan to purchase the car for him on his 18th birthday in 2002. Originally, the car was a different color, but it’s now white. The Hummer H2 sports custom features such as a video-game console, sound system, chrome grill, 28-inch chrome rims, and multiple televisions. The vehicle even made an appearance on the Speed Channel’s Unique Whips show. The LeBron James 2003 Hummer H2 has a controversial history. When his mother gave him the vehicle, the Ohio High School Athletic Association (OHSAA) opened an investigation because amateur athletes weren’t allowed to receive gifts with a value over $100. The OHSAA was worried that James had accepted the car from an agent or a school. For two weeks, the OHSAA investigated the matter to see if laws were broken. Ultimately, James was able to keep the car, and the investigation ended because his mother proved that she had taken out a loan to pay for it. She was able to show the bank records and dealership paperwork for the loan. James hasn’t owned the 2003 Hummer H2 for a long time. In 2013, the car’s owner put it up for sale on eBay. He shared that the vehicle only had 28,117 miles and still had all the original customization. On eBay, the car sold for $64,800. After it was purchased, the vehicle was put on display by the Greater Cleveland Auto Auction. Goldin Auctions thought it would be able to sell the 2003 Hummer H2 for several hundred thousand dollars. Considering that other vehicles from athletes tend to perform well at auctions, the company’s expectations weren’t unreasonable. According to Yahoo, the Kelley Blue Book lists the value of a regular 2003 Hummer H2 at $18,000. Since a famous athlete owned this Hummer, Goldin Auctions set the minimum reserve price at $50,000. The company mentioned that the car was in flawless condition despite its age. It’s possible the Hummer H2 didn’t sell because it had been a while since LeBron James had owned it, and collectors may not have been interested in a car with multiple previous owners. There’s also the chance that the car was overpriced at $50,000, and collectors were more interested in a bargain. Even celebrity items have a shelf life, and they require a bit of buzz to sell at auction. Previous Would You Rent Your Next Car?